You are unlikely to confused the ATK Raider ski brakes with other models. That’s because they ride on the toe pieces instead of the heels like other bindings. It’s a neat system that causes less interference with lateral release mechanisms, and anti-friction devices are made obsolete. The Raider 2.0 brakes are lightweight like the binding but still seem to do the job. 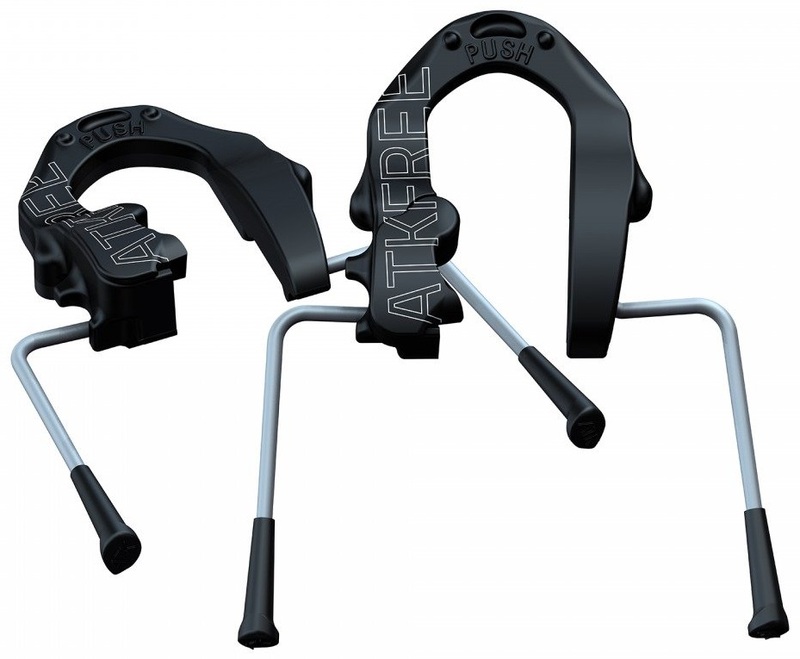 Swap skis and keep your bindings with new ATK brakes. These also work with the Hagan Core bindings. Are you goung to have in stok these brakes in 102 mm size? Hi Fedor! I don't believe we have ordered any more for this season, but if you'd like me to, I can put you on the email notification list. Hi, do you think the 86 mm brake would fit on an 88mm ski or are the tolerances exact? Thanks! Hey Marty! You might have to bend them out a bit, but yeah, you could likely get them to work. It depends a little bit on the shape of the sidewall of the ski, but really you're only looking for an extra millimeter of clearance on either side of the ski so I think it's probably fine. Hi Trace, thanks for the reply. Are these sold as a pair or do I have to order quantity (2) in the cart to get a pair? Thanks. Hey Marty! They're sold as a pair! Can these brakes be mounted on th ATK SLR release bindings? Hi Charles, unfortunately not. They only work on the ATK Raider and RT 2.0 bindings, along with the Hagan Core and Ride.